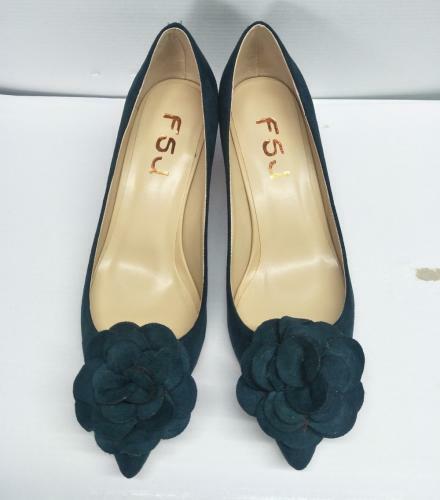 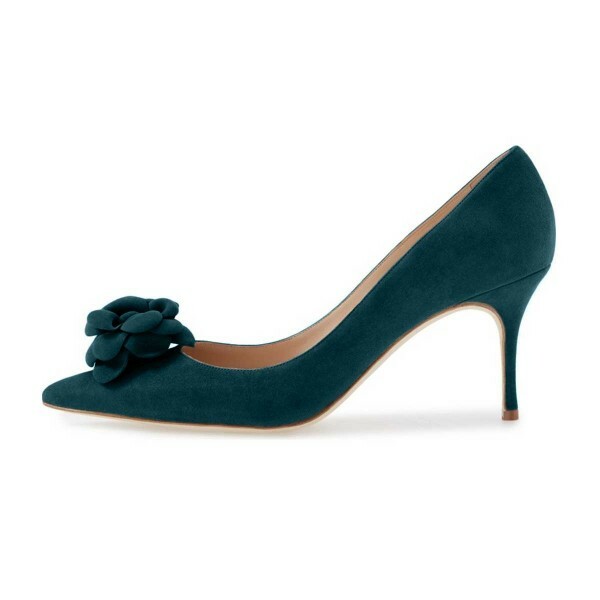 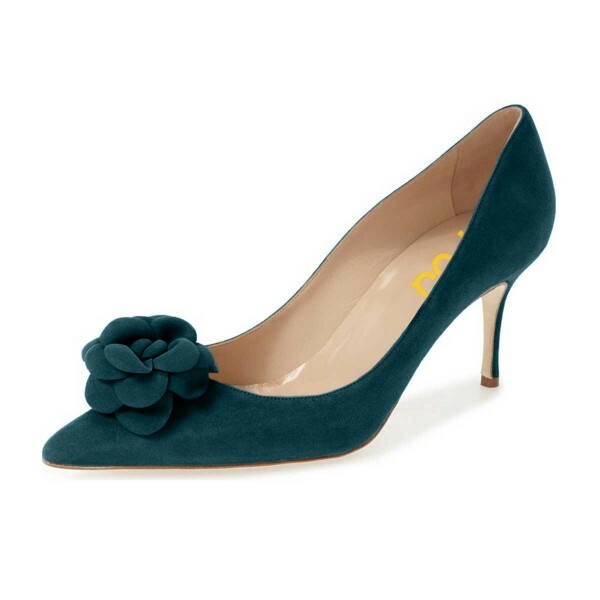 The classic pointy toe pump has been slightly updated with a softer point and a new stiletto heel , finished with a dark green suede leather upper. 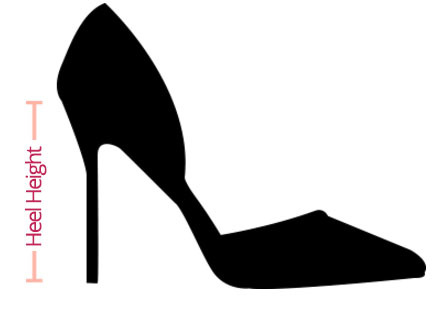 Good shoes! 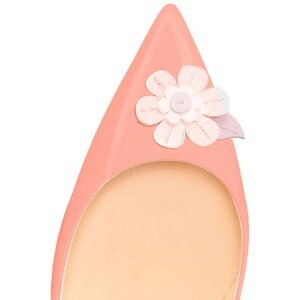 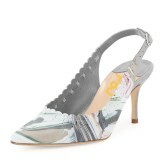 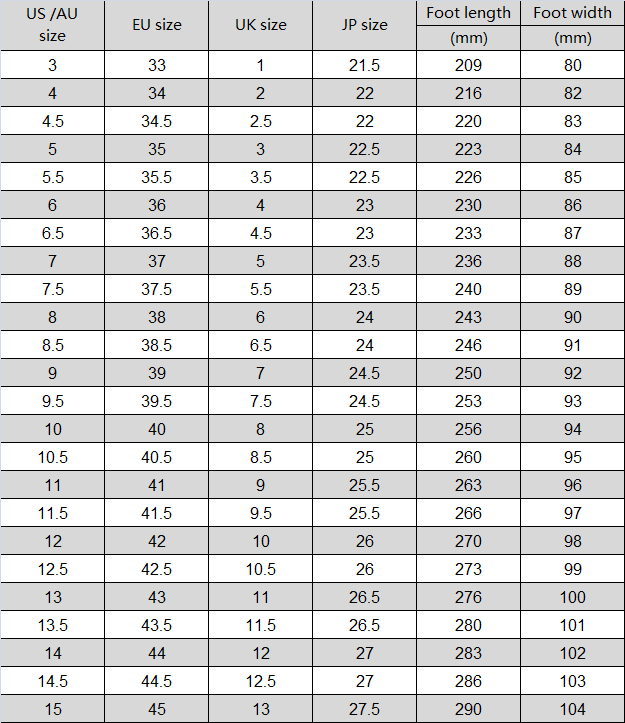 The quality is well and the heel is super comfortable.